I first read the book when in High School many years ago. Only now do I realize that much of the complexity and substance had escaped my first encounter.This is a timeless classic and a work of genius. The narration was superb. I was sorry to see it end. I downloaded a free study guide off the web and that helped me keep the characters straight in the beginning. The guide's critical analysis helped me enjoy the book even more. Be sure to let the first several hours wash over you. Just enjoy being swept along. Soon you'll remember who everyone is and be thoroughly engrossed. My dogs got extra long walks for a couple months! I was sorry it ended. This is an experience everyone should have at least once in a lifetime -- and, with luck, multiple times. Listen and read simultaneously for even more exquisite hours. The reader is fabulous. Subscribers asked for a better narrated version of the awesome "War and Peace," and quietly Audible recently offered this superb rendition. The narration is excellent and unlike the droning Zimmerman, Frederick Davidson brings the material and the characters to life. 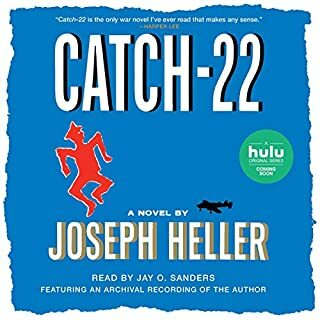 My opinion of Audible has risen substantially, and I am thoroughly enjoying one of the greatest novels ever written. My limited experience doesn't have a class for War and Peace. Well, I'm no Ph.D, but I've done a respectable stint with the classic. I rattled off a list of reputable authors and how I like them at first, citing it sort of to demonstrate my taste; ultimately I deleted it because even all those invocations of classicism didn't express my newfound reverence for Tolstoy. Anyway, I had anticipated reading War and Peace (eventually...), but hadn't anticipated it as an audiobook until I got two credits here as gifts. As you may have noticed, I liked it. I really liked it. I liked it so much that that, ruefully, I'm trying to write such a glowing review that people reading will think I must throw "five stars" around all the time, and they'll be wrong: Tolstoy not only snatched the Favorite Book trophy, he ran off with it for half a mile. Funny I've never *read* my favorite book, but there you go. That's all opinion though, and for all I know an abnormal one. In fact, I'd be surprised if any significant statistic of people liked it as I do, but I'd wager on anybody loving it sooner than her hating it. I don't think Frederick Davidson will remain my favorite narrator once I've heard more than two. I think he did very, very well with this, but I sympathize with some of the reviewers who couldn't get over some of his intonations. I got over them quite easily, you see, and even appreciate them, but they did take getting over first. Other than that, he slipped up only once in the whole work, mixing up two characters voices in one conversation. This is unabridged War and Peace: that has to count for something by itself. Last thing, if you don't like history/philosophy/philosophy of history/lengthy tangents thereon, beware. Those things greatly added to my enjoyment, but there you go. - The translation used in the audiobook is the one by Constance Garnett. - The actual length of the book is about 61 hours, since the last four hours (the epilogues) are repeated twice. The narrator (whose real name was David Case -- he passed away in 2005) seems to provoke extreme reactions: some people can't stand him, others can't get enough of him. I happen to belong to the second class, and I believe he is especially suited for this novel. However, if you find his voice as irritating as some of the other reviewers, you should probably go for another version. And now for the book itself. 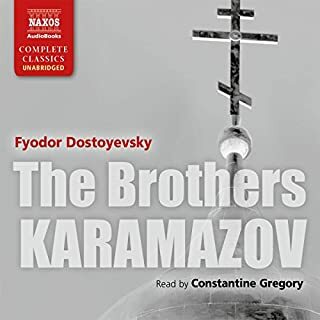 In "The Brothers Karamazov", Dostoyevsky writes: "Show a Russian schoolboy a map of the stars, which he knows nothing about, and he will give you back the map next day with corrections on it." 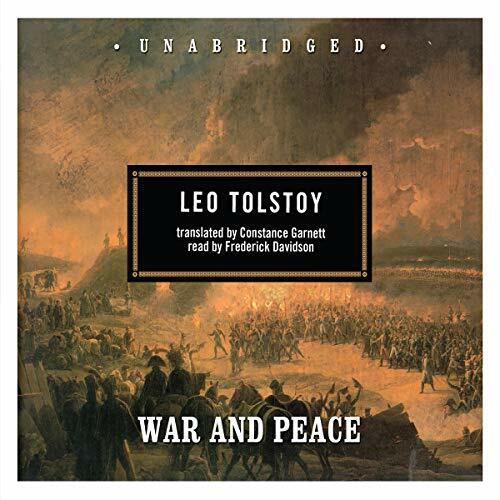 Tolstoy is the ideal to which all such schoolboys aspire, and "War and Peace" is his greatest achievement. Not only is this immense work a novel, it is a place for Tolstoy to expound his views on the causes and persons of the Napoleonic wars, on the methods of historical research, on free will and (of course) the existence of God. I can't say that I found everything convincing or even interesting -- for example, he takes a lot of pains to demonstrate the Napoleon was not a military genius but a blundering fool -- but for the sheer complexity and ambition of this work I cannot help but award it five stars. To be clear, this review relates to the Frederick Davidson narration of War and Peace, with an Audible release date of 01-21-05. What a horrible recording, mastering, and narration! I sincerely regret that I didn’t purchase the Neville Jason narration, instead (Audile release date: 04-27-07). Do not be encouraged by the favorable reviews given this Davidson narration. I was. That and I was too cheap to pay two credits for volumes 1 & 2 of the Neville Jason narration. 1.This is a poor quality recording. During pauses in narration, there is a low hissing background noise – almost like the always-present noise made by my old cassette recorder as it captured the friction of tape being pulled over the recording head. This becomes extremely pronounced (and annoying) when listening with noise-cancelling headphones. 2.The digital mastering of this rendition only heightens the annoying affect of background noise. At the discretion of the editor mastering this recording, the narration is frequently augmented with post-capture extensions of narrative pause. The stark silence of these edited-in pauses contrast, sharply, against the noise-filled pauses captured during narration. 3.Points 1 & 2 would be tolerable, if only Davidson’s narration wasn’t so bad. My chief complaint with Davidson’s narration is this: he reads War and Peace as though it were Jane Austin’s Pride and Prejudice. Not appropriate and even laughable at some parts. Also, Davidson’s character voices for women are grating and shrill. As he narrated certain women’s dialog, I had to pull the headphones from my ears to escape the pain his increased pitch and volume caused to my eardrums (seriously!). After one such insanely pitched, loud narration of a women character’s line, he then read: [character x] said, mildly. He then paused, awkwardly, as though thinking: guess I shouldn’t have hit that line so hard. To be fair to the story, please understand I have aborted listening to this book after only fourteen hours (I’ve listened to 2 of 10 parts). Although I love long books, I couldn’t tolerate another 46+ hours of Davidson’s narration. So, my criticisms of content relate specifically to the first 14 hours. 1.Too many characters to get a clear idea of who is who or why the reader should care about any of them. 2.Most (as in 90%) of battle/action scenes are described in hindsight, through various characters’ point of view. Not a lot of showing, mostly telling. In short, I regret buying the Davidson narration of this book. I wish I’d spent 2 credits on the 2 volume narration by Neville Jason, instead of wasting 1 credit and fourteen hours on this Davidson narration. I would urge any reader interesting in tackling this classic Tolstoy novel to avoid the Davidson narration. Listen, carefully, to the Jason samples before taking the miserly path I took. Spend the 2 credits on the Jason narration and avoid the frustration of spending time with this Davidson narration. The book is amazingly good, Frederick Davidson is an excelente narrator too. 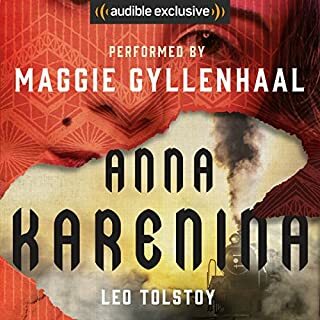 The only flaw in this audio book is the recording. A few times it looks like your're listening to a jumping vinyl record, but nothing that prevents you from having a wonderful experience. A great listen- not a cliche! I did not expect to like W&P (in fact, I downloaded it only because I was stuck in bed for a length of time and wanted to joke that I was so bored that I read/listened to W&P), but it's become one of my favorite listens. On one level it's a riveting 19th century soap opera, with breaks for philosophical treatises rather than commercials. Then there's Tolstoy's brilliant expression of his psychological insight. What I studied at university (70s, 80s,) as the "new" historiography was actually expressed better by Tostoy than the postmoderns I read. I usually skip battle scenes to avoid violence, but skipped none of this - even the description of "wolf hunting" referred to by another reviewer was so well done that it captured me. 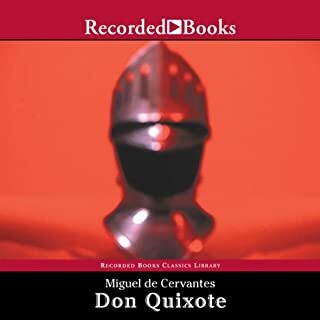 This is one of the few audiobooks that I will subsequently buy to read/reread passages. Unlike other reviewers, I like Frederick Davidson's narration. His style for W&P was a bit more lively than usual (more variety than his delivery of Les Miserables but not as campy as his readings of P.G. Wodehouse). For me he enhanced the listen. As others pointed out - there ARE many characters, and Davidson's style helped me sort them out. Tolstoy sometimes changes his prose style to reflect his characters mentality does he not? The variety of inflection sometimes helped point to that. War and Peace. A classic. What can you say about a classic like this! The narrator though...So hard to understand that it makes it hard to get through this. On a book notorious for being this long, it's almost a "crime" to have someone like this narrate it. For that reason alone I would NOT suggest you get this! As I'm nearly 70, I realised I'll never have time to read War and Peace. I'm now in the middle of listening to part 3, and enchanted. I didn't know it was full of irony and humour. the reading is perfect, for me, wonderfully camp. So I go on the bus with my Freedom pass, and when people ask me what music I have on my iPod I'm delighted to tell them that it's War and Peace! This is the narration to listen to if you want to be entertained. This is interesting to listen to, lively and engaging. Neville Jason has a better rating but I dont think that I could have listened to him for 60 hours because he sounds so bored. Frederick is humerous not monotonous. This was definately the reading for me. Please dont just go for the highest rating. I am thoroughly enjoying this book and recommend to everyone that always wanted to but never had the time or the strorage space. 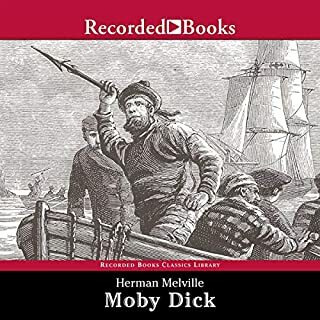 I'm sorry, but I have to disagree with the previous person's review, this might be a great book, but Frederick Davidson?s narration makes it unbearable to listen to. My recommendation to you is to buy another version. This is an epic to listen to - never mind read. It took me ages to get through this one - but I am so glad I did get to the end. It takes a while to get used to the narrator, but after book 3 or 4 you do get used to him, and not having read the book, rely on his portrayal of the characters. There are so many characters that come in and go out of the story (some never to return) that you do appreciate this and whether the accents match the characters at least the narrator is consistent in his portrayal which must be hard to do over a book this long. The chapters are in nice short listenable units (10-15 minutes), which suits me personally as I listen on the way to and from work, and I would say I only found 2 or 3 which were missing a bookmark which is quite remarkable given the amount of chapters contained in the 15 books. If you are going to listen, its worth it, but I would put aside plenty of time. I would certainly consider replaying it one day. Brilliantly read by Davidson who has a great sense of pace and character. Described as 'the greatest novel ever written' - I'm not sure I agree with that view, but certainly a very great novel. when I got to the end I started again at the beginning and heard it through a second time. I had read War and Peace about 40 years ago and my main memory is of lengthy ramblings by Bezukhov. Of course I have seen a number of films, the most recent being the Bondarchuk. However the narrator of this is wonderful - never sounding too preachy. 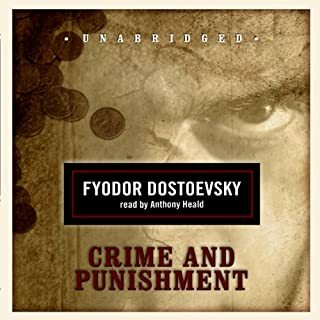 Also his various accents are very good (as far as I can judge...) Having just listened to a Dostoyevsky whose narrator seems to speak no language except Yankee, this is most appreciated!. An epic in its scale of historical events, the unfolding of its characters' and the philosophical terrain they navigate. without doubt the most enlightening combination of fiction, history and philosophy I have encountered! Outstanding performance from its reader. One of the greatest novels ever written, made difficult by narration lacking passion and charisma. Great for what it is. Not very climatic. Great work and excellent writing, but very hard to follow because of the difference between today's language and the way it is written. Loved it, thought provoking. A brilliant work. That is all I have to say, thank you.